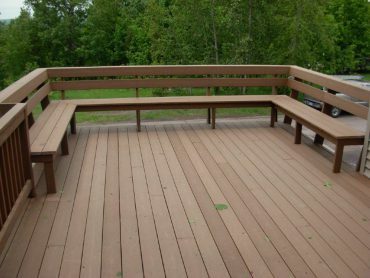 LR Contracting Inc, your local contractor is ready to create the perfect deck for you in the Hancock Michigan area. Truly, a new deck or patio can make your home look like new. At LR Contracting Inc, we pride ourselves on quality craftsmanship. We only use the best materials at the best price, and we know a project isn’t done until you are happy. 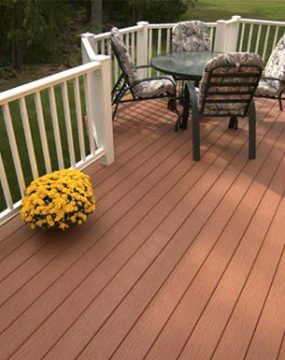 If your dream is a simple deck outside your living room, then we can help. If you want an elaborate deck with several levels, then look no further. We are specialists in decks and patios and will be pleased to make your home your dream home. Nothing enhances the value and appeal of your outdoor living space like a beautifully crafted, custom deck. Our unique designs, high-quality construction and friendly service have made us the deck contractor of choice for discerning homeowners. All our work is 100% guaranteed and we offer numerous designs for our customers to choose from. We can build any deck and keep the project affordable. We only use top quality products so that our customers can have a beautiful deck that doesn’t require a lot of maintenance.